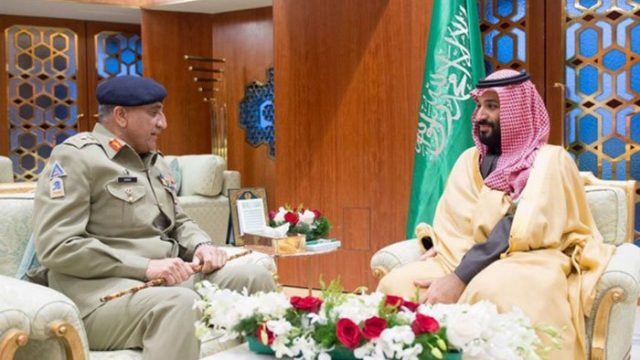 RIYADH: Chief of Army Staff (COAS) General Qamar Javed Bajwa met with Saudi Crown Prince Mohammed bin Salman bin Abdulaziz in Riyadh on Thursday. 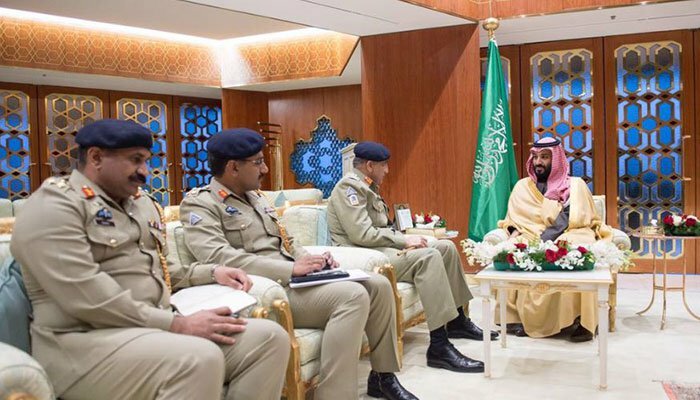 According to Pakistan Radio, during the meeting, the two dignitaries stressed the close ties between the Kingdom of Saudi Arabia and Pakistan. The two also discussed bilateral military relations as well as a number of issues of common interest. Saudi vice president of the Council of Ministers and the minister of defence were also present on the occasion, as were other senior Pakistani military officials. Meanwhile, General Bajwa also met Saudi Commander of Ground Forces, Lieutenant General Prince Fahd bin Turki bin Abdulaziz.